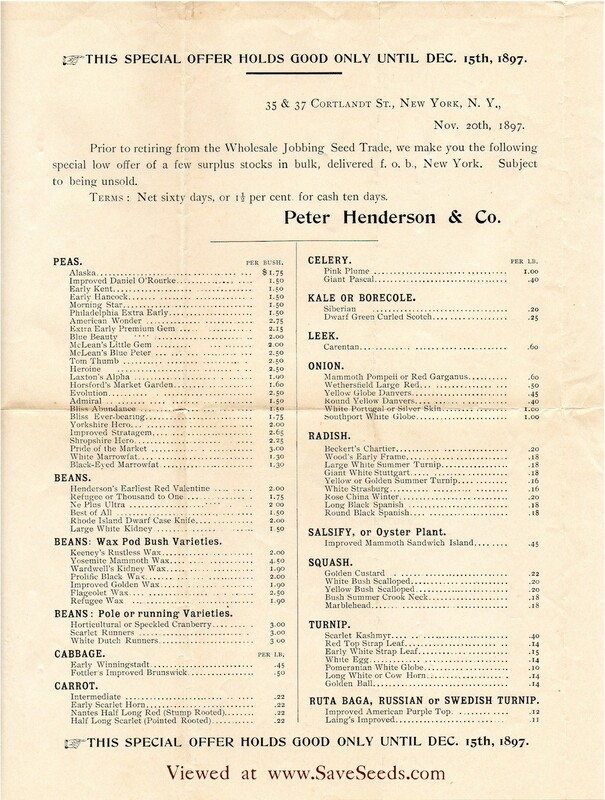 Circa 1884 4 Peter Henderson was a market gardener, florist, seedsman and prolific author. He was born in Scotland in 1822, came to America in 1843, and began market gardening in 1847. The exact date that he started his seed business is a bit murky. 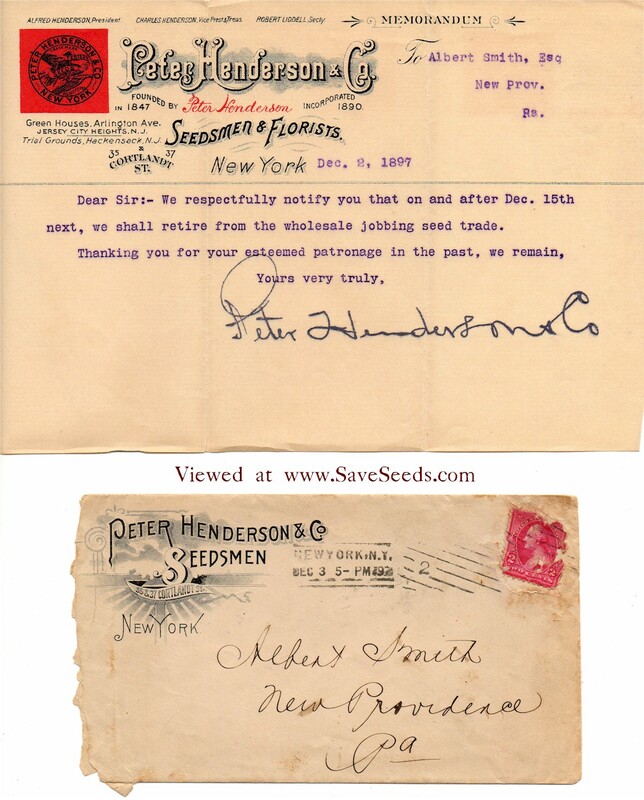 The company states "Since 1847" in its seed annuals3. Other sources list it as beginning in 18651 or 18712. He was a prolific writer contributing many articles to horticultural and agricultural magazines, authored several very important horticultural books, and wrote or dictated over 175,000 letters. His catalogs tended to have a substantial number of pages looking more like a periodical. He incorporated the use of color very early on. Peter Henderson passed away in Jersey City, N.J. on January 17, 1890. Gardening for Profit (1867) - Distinguished as being the first American book addressing market gardening. 100,000 to 150,000 copies were sold. Revisions were made in 1874 and 1887. Practical Floriculture (1868) - Written for the professional and not the amateur. Garden and Farm Topics (1884) with C. L. Allen - Reported that 250,000 copies sold.